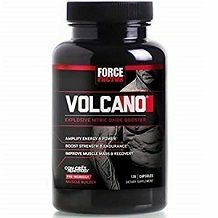 This is a review for a product called VolcaNO and will examine the facts. The manufacturer claims this product is a potent source of synthetic energy that will promote enhanced blood flow which is especially beneficial for the maximum growth of muscle during exercise and in addition, it further claims to provide an extreme boost of strength and greatly increase endurance. This product is suggested to be formulated and intended specifically for the assistance of dedicated bodybuilders. Vitamin B6 is essential for functions of sugars, fats, proteins, and development of the brain and nerves. 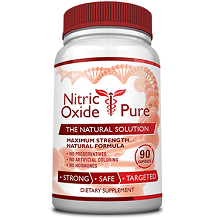 Nitric oxide is a neurotransmitter which influences blood vessels to relax and enhances circulation. L-citrulline increases nitric oxide production and lowers blood pressure. Agmatine is derived from the l-arginine amino acid that is stored in neurons and helps the functions of the central nervous system as a neurotransmitter and neuromodulator, it may assist with neuropathic pain, drug addiction, protecting your brain from toxins and strokes, and may promote weight gain. L-norvaline is a booster used for pre-workouts and said to boost workout power and recovery. Creatine helps create energy that makes muscles work and in high doses, may have harmful effects. L-methionine is used to support healthy liver function, assists recovery from exercise, production of connective tissue and benefits cardiovascular health. L-Glycine is used by your body to create proteins and helps with neurotransmissions which may improve memory and can rarely cause mild side effects. The manufacturer suggests that on workout days, you should take two to four capsules half an hour prior to your workout. On non-workout days, you should take two to four capsules along with your breakfast and an additional two to four capsules with your dinner. It is also instructed that you should only use this product as advised. An ingredient used may rarely cause mild side effects such as stomach upset, vomiting and nausea while another listed ingredient, if used in high doses could cause more serious side effects for your kidneys, liver, heart and could cause stomach pain, diarrhea, nausea and muscle cramps. It is cautioned that this product may contain allergens and that if you are pregnant, nursing, have any medical conditions or use any medications you should first consult a doctor. You can purchase this product online and a bottle of 120 capsules will cost $69.99 directly from the manufacturer’s website. There are no discounted options but they offer a free two-week trial. The manufacturer provides a full money back guarantee which is valid for 30 days from purchase although, they do not refund shipping or handling costs. It seems there are no required conditions for the product to qualify for a refund. The product contains some good ingredients, and it has a 30-day money back guarantee therefore it may be a relatively ok product. It is unfortunate that this is an extremely expensive option in comparison to other products and there are no discounts available, making this very unaffordable. It could also contain allergens and there is a list of mild to possibly severe side effects which suggests that this might not be the greatest option for you.